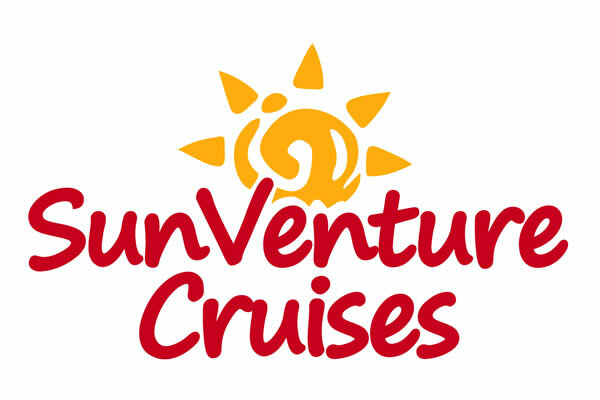 The new spring season is bringing exciting new changes for SunVenture Cruises. The sporty 45-foot, Guy-inspired Catamaran has relocated to the crown jewel of Destin – the Destin Harbor. Docked a half mile east of the Destin Bridge, SunVenture’s new home is Heron Harbor Boardwalk right in the epicenter of water sport fun. It’s also easier than ever to book a cruise through the new online reservation system. Just select your date and time and enter your payment information through our secure system. You will receive a confirmation email with your boarding pass that you can print out or show from your phone when you check in at the SunVenture kiosk on the boardwalk. So what ad’venture’ are you up for? Dolphin cruises are scheduled from mid-morning to evening sunset times. This 1 1/2 hour tour cruises through the Destin Harbor and Gulf of Mexico for the closest view of the dolphins you will experience. Next month, we begin a fun Destin summer tradition. Our Coast Guard-licensed captains take the wheel on the daily Crab Island Cruises and let you enjoy a worry-free day on the water. We’re kicking up the fun a notch with stand-up paddle boards and kayaks that you can rent once we anchor in the waist-deep, emerald green waters. This 3 1/2 hour cruise also offers lunch options for $10/pp that include wraps, drinks and chips. Seriously the best and safest way to enjoy Crab Island! Private cruise options are also available for up to 49 people for any occasion from casual brunches, private cruises to Crab Island and fun bachelor/bachelorette parties to wedding receptions. Catering menus and event planners available to make your day complete. Whatever your ad’venture’, get on the water and make it happen on the SunVenture. 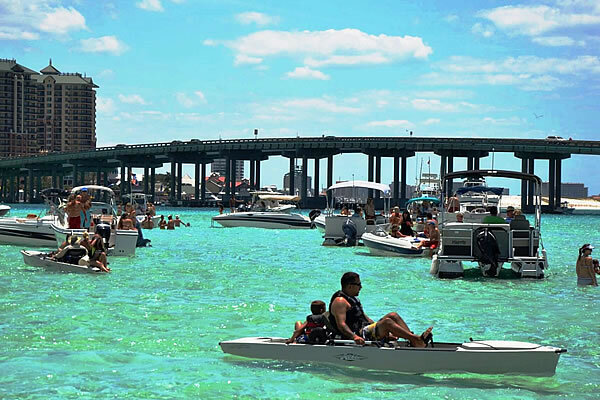 View our 2014 Destin Cruises schedule and book online here.